A Stomper was alarmed when he saw a woman in his Pasir Ris neighbourhood cleaning a window pane with half her body outside of the unit on Sunday afternoon (Mar 24). 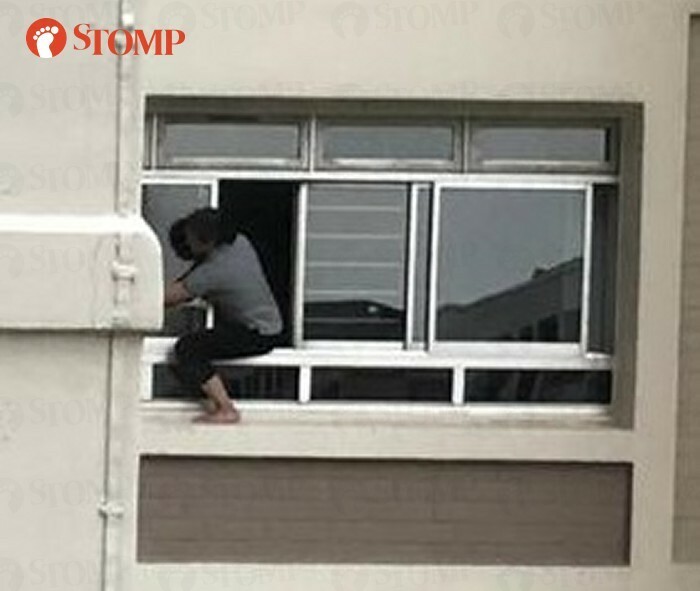 The Stomper was going about his work when he looked out the window and saw the woman cleaning a window at a fifth-storey unit of Block 651 Pasir Ris Drive 10 at about 4.54pm. "Despite many incidents that have happened involving people falling from a height, I just witnessed this incident with my own eyes," he said. He described the sight as "horrible" to Stomp and expressed concern for the safety of the person who was cleaning. "It may only be the fifth floor but if she were to fall, she would still die. "Life is not just to clean a piece of window glass."